There are a lot of important steps to undergo when setting up your directory project: developing a unique brand, pairing it with a clear value proposition, building out a great looking directory site, filling it up with listings and content to just name a few. However, the set up is only half the battle. The next and equally important phase for getting your directory site off the ground and gaining traction is to find ways to market and promote your site to potential visitors. Your goal in this phase is to improve your overall site traffic and increase the number of member sign-ups and paying promotional accounts you add to the site. You will accomplish this by getting your site in front of as many relevant, potential visitors and sponsors as possible. This is a major step towards how you are going to grow your revenue and turn your site into a success. There are standard promotional materials that people see all the time and just don’t pay much attention to (how many branded sticky note holders or cheap pens have been thrown out over the years?). An opportunity exists here to take a short moment and come up with ideas that are relevant to your site and the potential target audience you are looking to attract. Some examples would include: handing out bottle openers or drink koozies for a directory of microbreweries, offering tape measurers or levels for a contractor directory or giving away guitar picks or drum sticks for a music services directory. Use a unique touch to put a memorable spin on your brand. Try to find items that you know your target customers will use or will stand out and make them take notice. A small, inexpensive item can have a lasting impact. 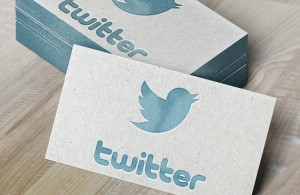 Twitter is the perfect tool to help generate some quick and easy interactions. Use this medium to hold contests or form creative hashtags that are fun for people to participate in. It can be useful in garnering some communication and sharing amongst your customer base and help drive some traffic to your site if you remember to include links in your tweets. Some examples would be a recipe or cooking directory asking people to tweet out photos of what they are making that week and have them use the hashtag “#itswhatsfordinner”, or a golf course directory asking players to tweet photos of their golf clubs and equipment and use the hashtag “#inmybag”. Post the feed for these tweets on your site and highlight some of your favorites, you could even offer prizes for the best posts to encourage more people to participate and build some buzz. Yelp! and Zagat use this tactic at restaurants all around the world. 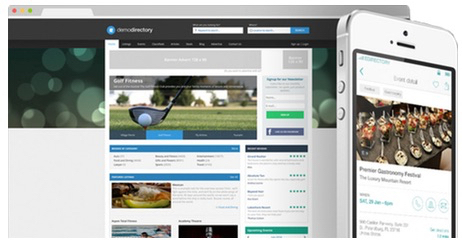 If you are running a localized directory site then this is a great marketing tactic for you to use as well. Ask all the local companies to place stickers on their storefront windows if they are listed on your site. Additionally, it’s a great conversation starter or icebreaker for businesses that aren’t listed on your site just yet and can now become potential leads for you. Use this tactic to promote your brand and your site while gaining a solid foothold in your local market with lasting visual appeal. Use email marketing campaigns and newsletters to stay in touch with your customer base. Use these emails to promote your site and new content, offer new deals and specials or just share interesting news in your industry. It’s important to provide value in some manner to your audience. Send a newsletter that your target audience will be interested in and will look forward to reading whenever they see it in their inbox. You can achieve this by offering newsletter-only discounts or sending out white paper quality content that will be valuable to your readers. Offering them a little something extra will keep them coming back for more. For online advertising Google AdWords is the standard on the web. With an account, you can pay Google to have your site’s advertisement show up whenever someone searches for keywords that you are interested in. You can choose the specific keywords and phrases you want, how much you are willing to spend, the location of the searcher, the time of day searched and more to ensure you optimize to reach your ideal customers. This is an extremely high level of targeting and a great way to garner relevant site traffic. Local Search site owners also have the luxury of advertising relatively cheaply through Google AdWords. With keywords and phrases as low as 5-10 cents per click, and Google periodically offering $100 credits to start a new account, this can be a great way to drive traffic to your site and build repeat visitors at a lower cost. Learn more about Google AdWords and how it works here. Advertising and promotional campaigns can be costly and many of the available options are just too expensive or unreasonable for a new directory site. This is why its important to work with the resources and assets that you do have (such as the ad space on your site or connections you have within the industry) and work on trading and bartering these to your advantage. Trade free advertising on your site to a business in exchange for being able to put up flyers or hand out branded materials in and around their business location. Trade free listings in exchange for a link on their corporate site or a shout out on their social media accounts. Use what you have available and see if you can find some opportunities to make some new deals and gain some value back for your business. Run a “Best of …” promotion by naming winners for different categories, decide on the winners yourself or use feedback from your customers or social media followers to vote for the winners. Local magazines and newspapers do similar awards programs and they can garner a lot of attention. A local directory could reward the “Best Bakery”, “Best Happy Hour”, “Most Dog Friendly Park”, and much more. Feed off the interests of your target audience and choose the restaurants, businesses, people or locations that will fit into your niche and drive some interest. It will help to bring traffic to your site from both customers and businesses while encouraging people to interact more and stay connected through your site. Find other websites and blogs where you can write articles and share ideas in areas that are relevant to your site and your target audience. Use this avenue to share your subject matter expertise and gain influence while also spreading the word on your own site. Be sure to provide links back to your own directory site whenever possible but make sure the content you are writing is of high quality and is interesting to your target audience. Give them a reason to want to check your site out to find other blog posts or content you have written and see what its all about. 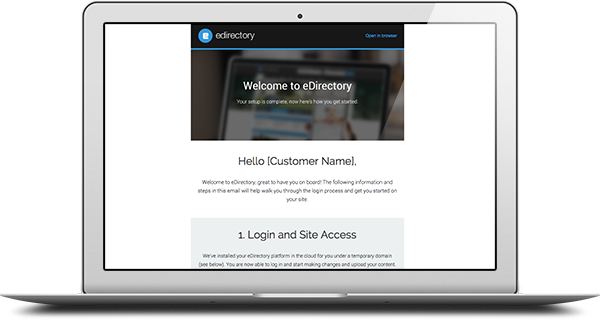 Have any questions about eDirectory and how it can help you build the site you are looking for?